First up is this awesome fishtail skirt (pictured above) that I'm wearing in today's outfit post. I'm obsessed with the high-low cuts right now with both skirts and tops — and this bright pinkish-salmonish with navy paisley is so much fun. Size Medium. 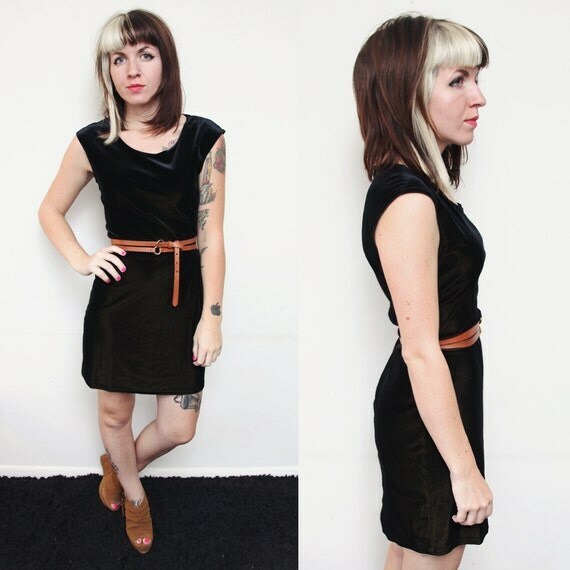 Next up is this black velvet dress. 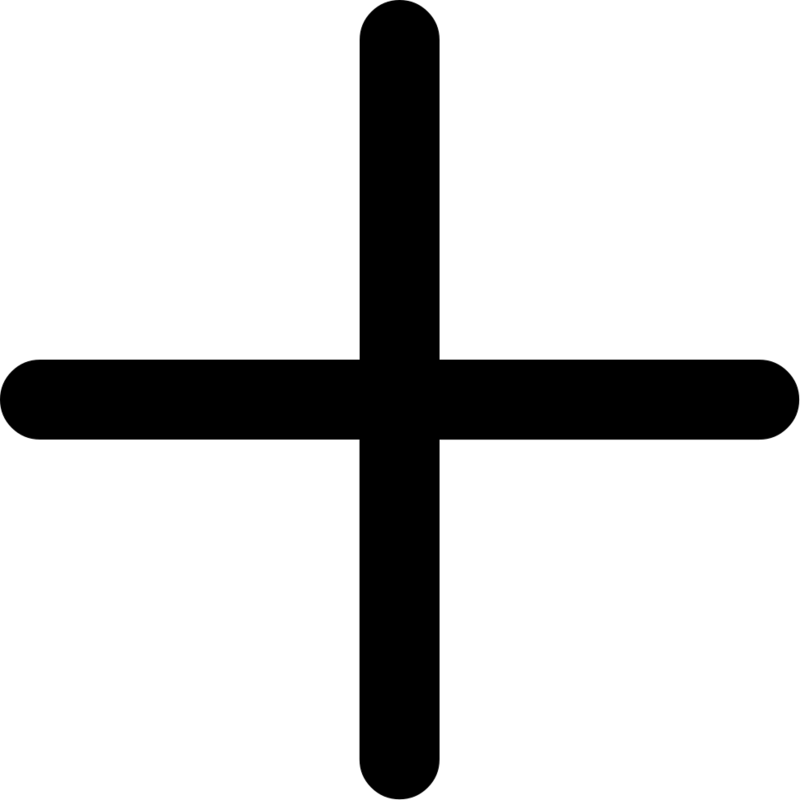 'Black' isn't the best way to describe the color, because is has a great gold undertone. It the light, it almost appears copper. I'm still into velvet for this fall and winter and I know I'm not alone! Size Small-Medium. 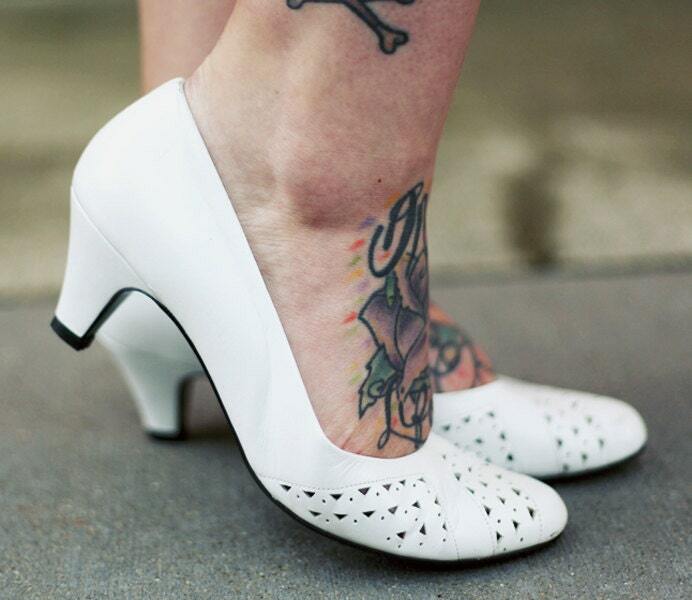 Here are some amazing white kitten heels that have triangle cut-out detail. They're nice, crisp, and only show a small amount of wear. Size 7. And lastly, the necklace that I'm wearing in today's outfit post. 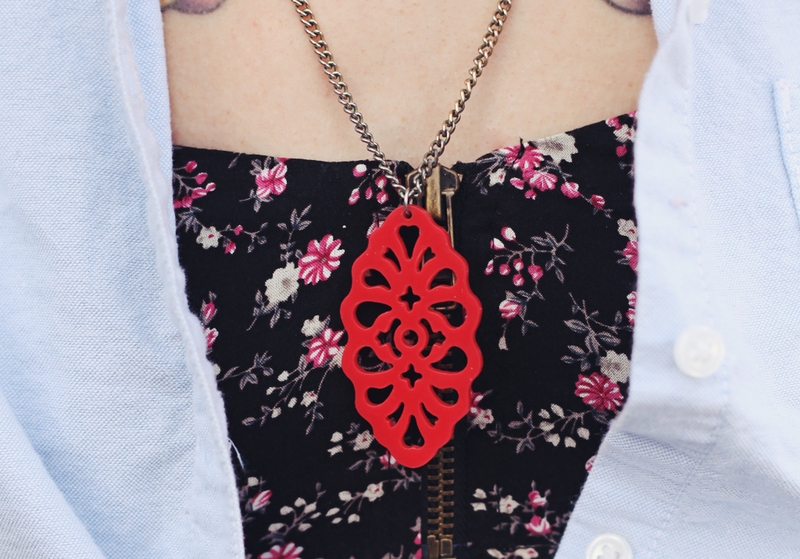 It's made from recycled and found objects, including this nice filigree-style plastic charm. Chain measures 31" (yeah, I'm all about long necklaces, too!). Keep in mind that you can get 25% off right now when you use the code MOVINGSALE25 at checkout!